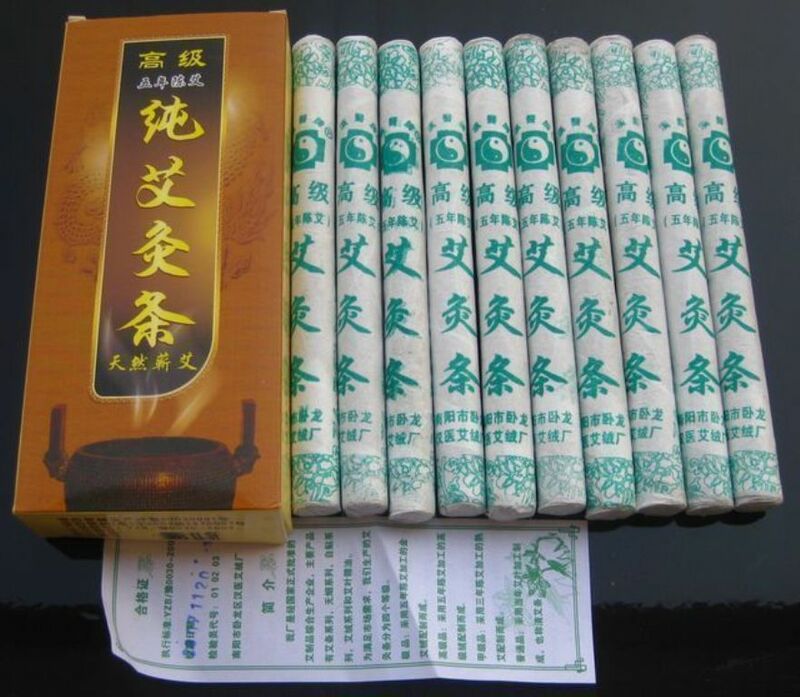 The ‘Moxa Stick’ is the most common form in which Moxibustion is used to promote healing. Here the dried mugwort is rolled up tightly and wrapped in paper forming a cigar-like stick. The Moxa Stick can be held in one place, rotated in circles, or ‘pecked’ in a motion similar to a sparrow pecking at food over the area of an acupuncture point. DesertStar Healing places a finger next to the point being stimulated to maintain a comfortable level of heat and to guard the client from the unlikely risk of burn.The Moxa Stick is held approximately a half inch from the skin, although this may vary from client to client. The Moxa Stick is primarily used to treat a deficiency of ‘Yang’ energy in the body. It is Yang energy that governs movement and warmth, and a deficiency of Yang results in cold symptoms. The client may feel cold, or may complain of cold hands and feet.Yang Qi deficiency can also manifest in incontinence or loose stools For clients who are very weak and deficient, Moxa Stick is chosen as a primary treatment due to the fact that it actually adds “Yang Qi” to the body. Moxibustion Therapy is generally Not Recommended for those…. – with an weakened immune system.